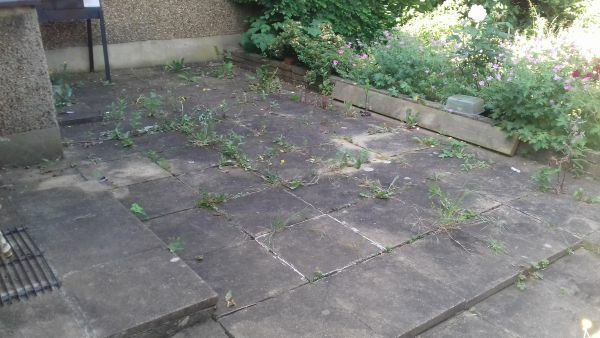 This patio was covered in weeds , algae and lichen . 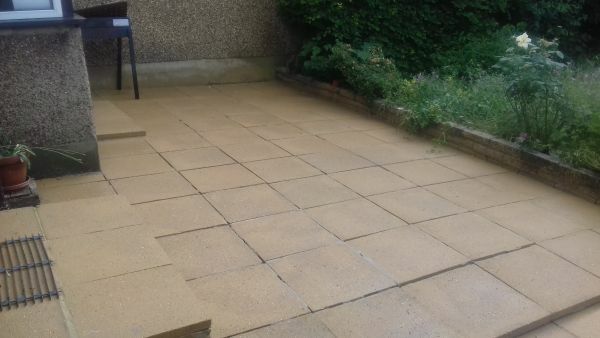 The owner was looking for the slabs to be cleaned and improved for the summer time . After two applications of treatment and power washed , the area now looks completely transformed to like new .